Thanks for the wonderful advice Pat. From what i garnished, It’s OK, to rob your mortgage and utility company. And also, we don’t need to be faithful in paying our bills. Why do believers feel it’s justifiable to neglect their debts in order to fulfill tithing. Since when is it pleasing to God that we perform one wrong (not paying bills) in order to do a good thing (tithing)? Should I lie, cheat, and steal, just so i can tithe as well? Is it OK to default on my loan so my Church can beef up their youth program? Look, i’m not saying that materialism isn’t part of the battle to be fought here, but at the moment, the decision is whether or not you defile God’s name to your debtors, or whether you should make your church happy. Hmmmm, that seems like a tough decision. I don’t think that is what God is saying. 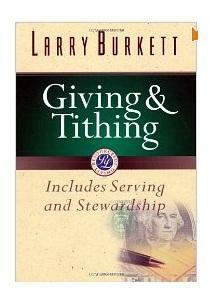 I think that tithing was meant as a means of giving back to the community regardless of our financial obligations. Now I understand your concerns with tithing in this day and age because I share them. In fact, I have become disillusioned with the whole organized church practice. I have been searching for a church home for several years and every time I try a new one it’s the same old thing. On a few occasions I found a preacher that I and my family really liked but we just couldn’t stomach the nonsense you have to go through to get to the message. Paying your bills, which is basically an agreement you have made with someone to provide services for a fee, and giving back to your community through your church are both equally important. If someone were having trouble meeting their financial obligations and faced with the prospect of having to choose between tithing and paying the bills, then I would suggest they tithe with their time and volunteer at the church or in the community in the name of their church. I know this is not a new idea, but I don’t hear it preached that much. Perhaps it is because the church needs to meet its financial obligations as well. Whilst you are pondering the issue of whether to tithe or meet your other financial commitments you may ask yourself this: Should I also follow the practice of circumcission or offer burnt offerings and sacrifices? If your answer to that is no then I think you have also answered the tithing dilemma.